Save the Microbes – microBEnet: the microbiology of the Built Environment network. 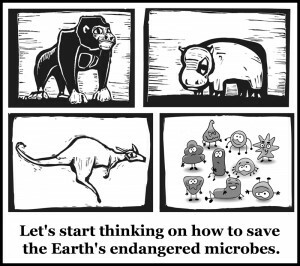 Gareth Griffith’s Slate article (2012) on endangered microbes told a story that had honestly never occurred to me. Sure, there are endangered species all over the world, and we are all too aware of organizations like the IUCN that classify and aim to preserve such creatures. But none of the organisms on IUCN’s Red List are microbes. It is hard to believe that anything as ubiquitous as microbes could ever be in danger of becoming extinct. And yet, the consequences of such an event would likely be catastrophic, and apparently very likely according to Griffith. In terms of the built environment, this could be particularly dangerous with regards to human health. Especially in places like hospitals, where immunocompromised patients depend on their microbiome to protect them – just one wrong step could result in losing lives. In basic ecology, a keystone species plays an essential role in preserving its habitat. Without it, the ecosystem would fall apart. Many people fail to connect this concept with microbial communities. In addition, microbes perform a variety of biochemical functions that other organisms do not have the capacity to perform, but are nevertheless essential to survival. In man-made environments, this is becoming increasingly important because of the human health aspect. Constructing a beneficial and diverse microbial community is becoming almost as important as constructing the building itself. In the past, our lack of knowledge of microbes has perhaps led to unnecessarily altering their populations with adverse health outcomes. 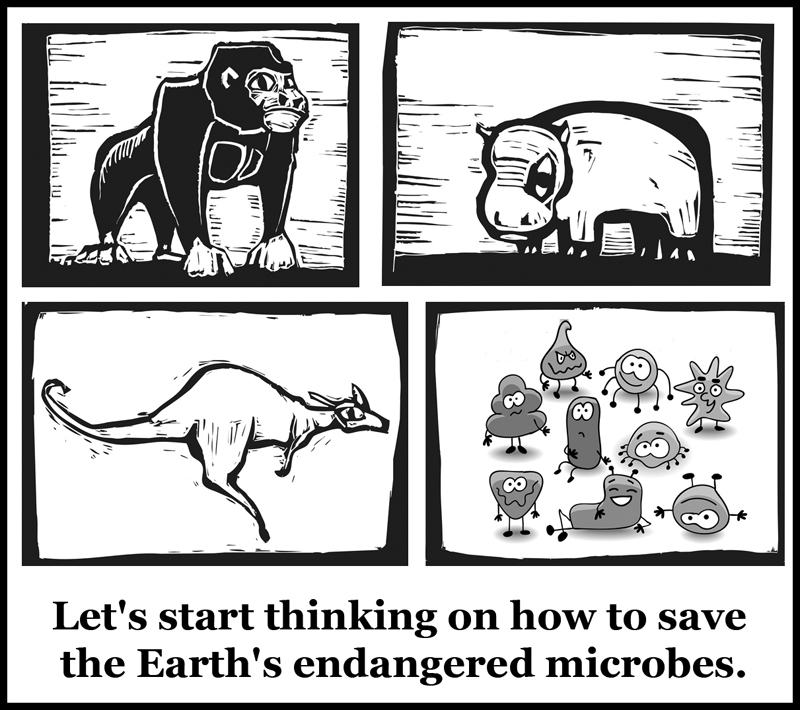 Humans’ dependence on microbes is slowly becoming more apparent, and we must consider how to conserve and protect these organisms if they are in danger of depletion.